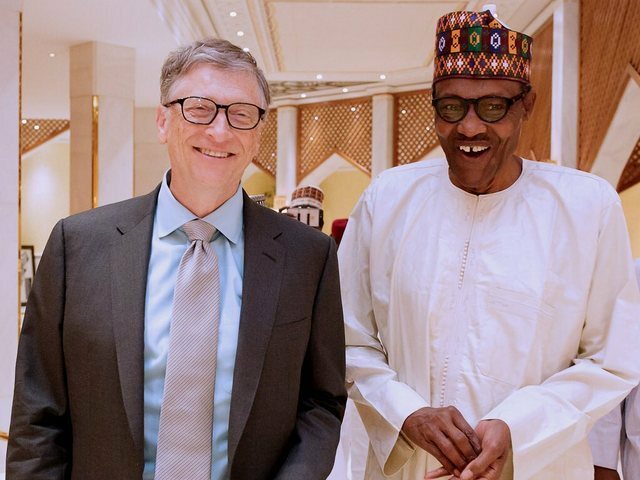 Co-Chair of the Bill and Melinda Gates Foundation, Bill Gates, yesterday, criticised the Federal Government’s Economic Recovery and Growth Plan (ERGP), saying it does not reflect people’s needs. Gates, who stated this at the expanded National Economic Council on Investment in Human Capital, presided over by Vice President Yemi Osinbajo, at the State House Conference Centre, Presidential Villa, Abuja, submitted that investment in infrastructure and competitiveness must go hand in hand with investments in people, to anchor the economy over the long term. He, however, regretted that Nigeria’s approach places more priorities on physical capital over human capital development. He said the country will thrive better with strong investment in health and education, rather than concentrating on physical infrastructure, to the detriment of human capital development. Even though World Bank’s World Development Report shows direct link between the level of education and improvements in employment, productivity and wages, Nigeria’s case shows that half of the country’s children cannot read and write. Nigeria, he said, has the fourth worst maternal mortality rate in the world, only ahead of Sierra Leone, Central African Republic and Chad. Citing the gains the country has recorded in the immunisation against polio, he urged the government to pursue human capital development with the same vigour to achieve the desired results. Meanwhile, the Chairman, Dangote Foundation, Aliko Dangote, in his opening remarks, said Nigeria can truly compete globally, if it can prioritise investments in the health, education and create job opportunity for the people alongside other critical areas like infrastructure. Together, these are the inputs that will make Nigeria richer. For his part, Vice President Osinbajo, regretted that high oil prices and economic growth of previous years had failed to translate into a better life for most Nigerians. According to him, grand corruption prevented investments in healthcare and education and infrastructure, and shamelessly robbed government policies of most, if not all, of their intended impact. Osinbajo, however, assured the gathering that the Muhammadu Buhari administration was determined to rewrite the Nigerian story for the better. But reacting to Gates’ verdict on Buhari’s economic policies, Nasir el-Rufai, Governor of Kaduna State, said it was wrong for Bill Gates to say the execution process of the Economic and Recovery Growth Plan (ERGP) does not truly reflect the needs of Nigerians. El-Rufai, who was among the governors at the meeting where Gates spoke, said the ERGP has enough provisions for human capital and that what was needed was not an adjustment of the ERGP but for state governments to adopt similar plans. “On the review of ERGP as suggested by Gates, it is not correct to say that the ERGP does not give primacy to human capital, it is not correct,” el-Rufai said. “The ERGP has enough provision for human capital, it is a Federal Government plan. What is needed is for states to have similar plans as well as adequate provisions for healthcare and education. “Because the bulk of the burden for healthcare and education really rests on states governments. The disease burden of the country is largely at the primary healthcare level and this primary healthcare system is broken completely; we need to rebuild it.